I like to explore the cultural connections between the holiday of Halloween and people that invented it. One of the more interesting legends I have run across recently is that of The Cutty Black Sow. That spooky monologue spoken by the character Conal Cochran in the movie Halloween 3: Season of the Witch is where I learned that the Irish and their kin were actually responsible for most of the traditions that Halloween is built on. In Wales, for example, the first day of winter is called Calan Gaeaf and the night before is Nos Calan Gaeaf meaning winter night. In Wales this is thought to be the beginning of what we know as Halloween. This is the night when spirits walk abroad. On stiles, or entrances to footpaths, ghosts of dead persons are said to appear at midnight. In some parts of Wales, the ghost was often the Ladi wen (white lady), but in the north, it was usually the more frightening Hwch ddu gwta (tail-less black sow) also known as the Cutty Black Sow that appeared. From such remarks it is evident the Cutty Black Sow was a local bogey-man figure, perhaps even perceived as a devil, or the devil, in the form of a black sow and not a separate entity. There was even an episode of the series Tales From The Darkside was dedicated to the legend, though the episode gives the monster a Scottish origin instead. Once I learned about this truly terrifying folktale I realized I had been seeing it all my life in film and stories. 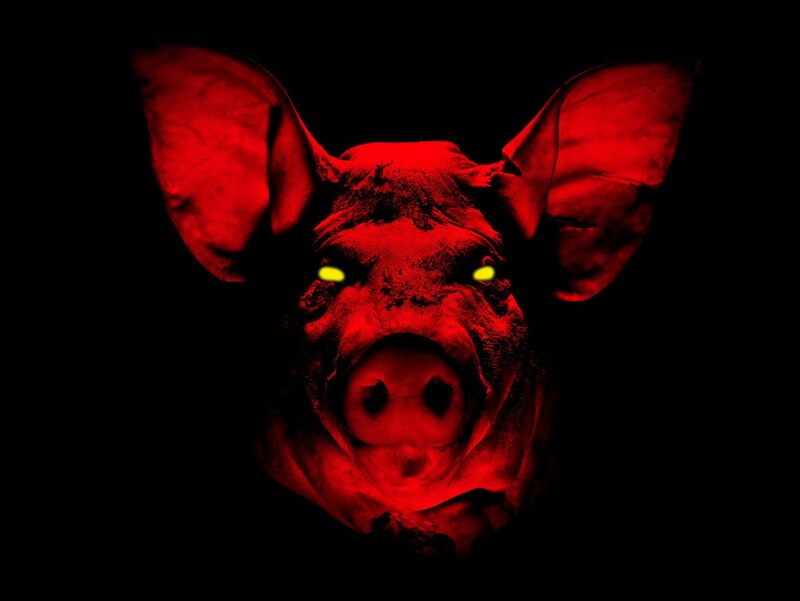 The Amityville Horror has Jody the Pig and even the Saw movies have the characters dress in a pig costume. Now go share this morbid tale with your children and have a Happy Halloween! I love Halloween it is my favorite holiday I am also into legends and folklore so I read everything that I can find so I really enjoyed reading what you wrote about the cutty black sow if you ever post any information about any other legend or folklore story I will definitely read it and you have a very happy and spooky HALLOWEN.